We have had the utmost pleasure of meeting people over the years, but we are absolutely grateful we met a unique person called KOLAWOLE AJEYEMI a.k.a AWILO. 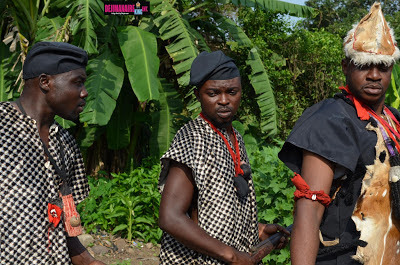 Awilo is a fast rising young actor who has a very impressive skill for what he does. We sat with him to discuss his personality, impressive works and upcoming projects he is involved. Please Note: The interview was conducted verbally in English and Yoruba language but we have it written in English language to serve local and international audience. DEJIMANAIRE: First of all I’ll like to welcome you to this little part of the web (Internet). DEJIMANAIRE: Before we jump right into it, I figured we’ll start on a little light, if that’s okay by you? DEJIMANAIRE: Please tell us a little about yourself? 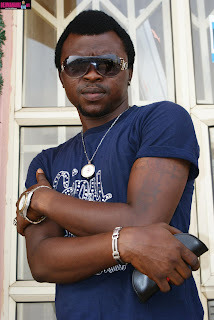 AWILO: Kola Ajeyemi by name and I am an Actor. DEJIMANAIRE: Can we know your full name or what you are generally called or known as? AWILO: Well, my full name is Honorable Kolawole Oluwasegun Ajeyemi A.K.A Awilo. DEJIMANAIRE: If it’s okay by you, we would like to know why you have 'Honorable' added to your name. Are you a politician? 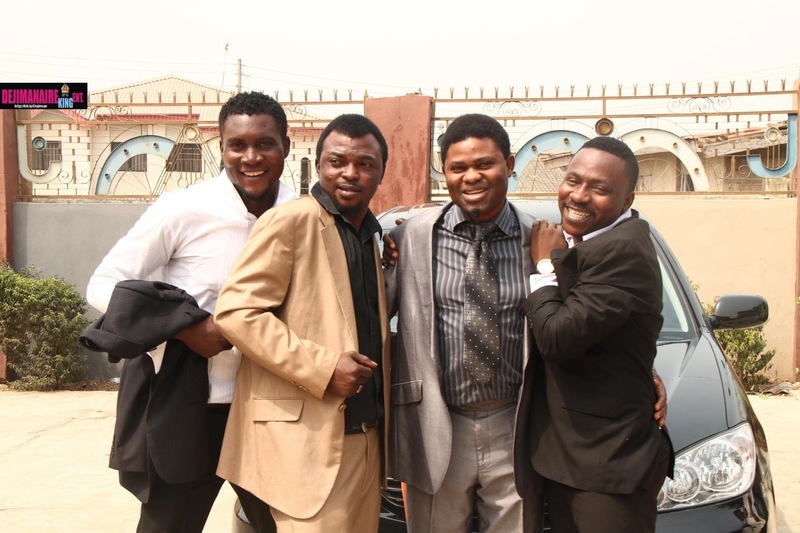 AWILO: I am not a politician; however, there is a club in which I and some people created. The name of the club is Excellent Achievers Club, therefore anyone who is a member of the club is regarded as an HONORABLE and that is why Honorable is added to my name. If you want to be a member of the club there are some certain questions, criteria and process you will have to go through to become an eligible Honorable like me. DEJIMANAIRE: You talked about being an actor, how long have you been an actor? AWILO: Well… I have been in this, around 1996, 1997, let me say precisely 1997. DEJIMANAIRE: Have you been acting on stage locally, among a drama group or how did you go about it? AWILO: The reason I made up my mind to become an actor is that my dad is a musician. Also I love seeing people on screen which makes me wonder how they got into the screen; these were what geared my likeness and inspired me to want to act in which I held on to the dream because I also want to be seen on screen. Then I started acting in church, school all this in 1997. I acted on stage, school shows and drama’s and many more, in fact there is no play I have not acted. I have actually passed through a lot. DEJIMANAIRE: I would have loved to ask you what inspired you to become an actor but you already answered us that you love to be seen on screen. DEJIMANAIRE: Prior to conducting this interview, I did some research on you and I was quite impressed to see the large variety of character you can play in roles. Therefore, which character is always your favorite? AWILO: If I have a chance to choose a role, I would love to be a lover boy however, people do say those who take a role in touting, hooliganism, cultist and many anti-social behaviors are been liked because of the way they talk but am not saying those who take these roles are not good but according to what people say about me, I don’t play these roles like it is usually done, I just changed all that, yet they still say am good in that role. However, I can’t say some movie producer miss-concepts role, but once you are capable you shall be called to take these anti-social roles. That’s the reason you see me act like cultist, tout, hooligan, street guy more than a lover boy in movies. Presently, people are now beginning to understand that there is no role Kola Ajeyemi can’t play but as for me I love taking a role as a lover boy, mummy’s pet and a pampered child (Omo butty). DEJIMANAIRE: This is getting very interesting. May I know how you prepare before being on set, I mean before camera rolling. Do you do any rehearsal or have other things you do? 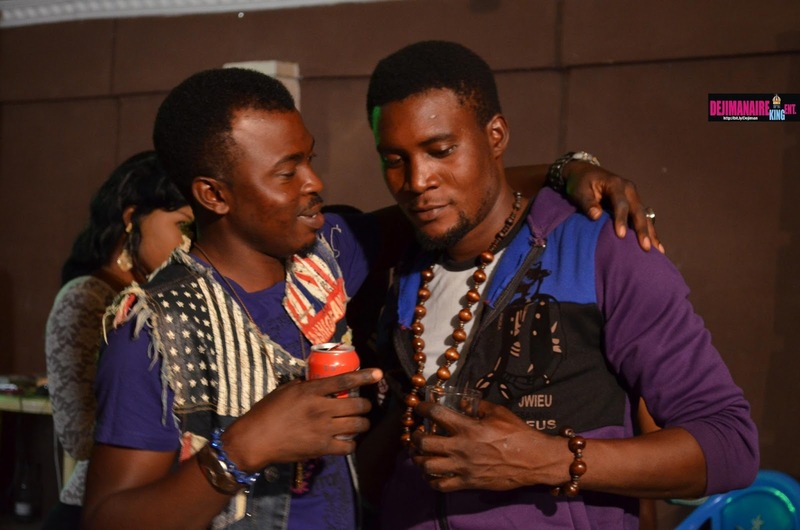 AWILO: Preparing for a role is the first thing. 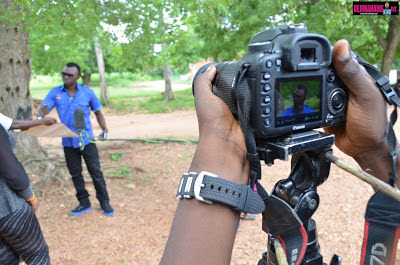 Whenever I am been called by any producer to play a role, I will ask them to give me the script and we negotiate on my terms and conditions, once that is settled, the next thing for me is my personal rehearsal in my room after that when we get to the location, in the hotel room I go through the script again. By the time you are called on set you won’t give the director any problem. It’s all rehearsal, there is nothing like you have to drink first or do some suspicious things. 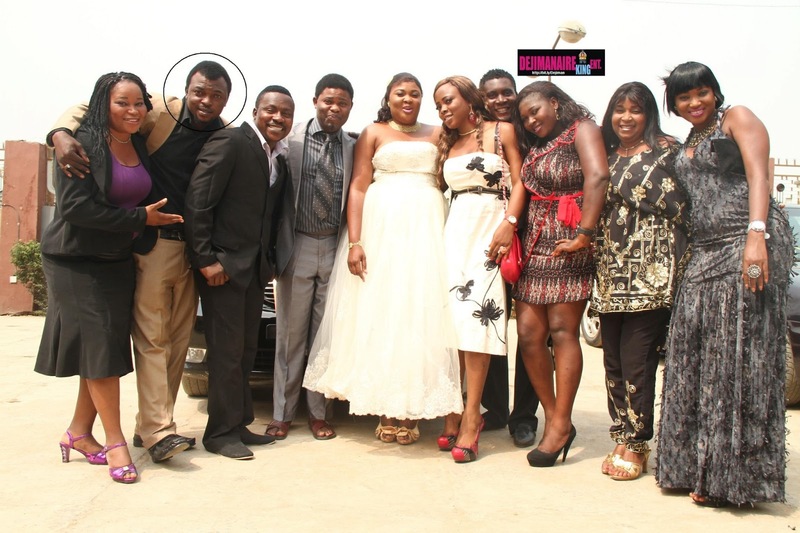 DEJIMANAIRE: Probably, all actors and actresses do rehearse? DEJIMANAIRE: What kind of training have you had that prepared you to become a professional actor? 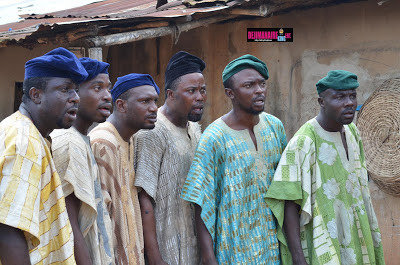 AWILO: Well…, I did a normal training but didn’t go to a formal school of acting/drama. 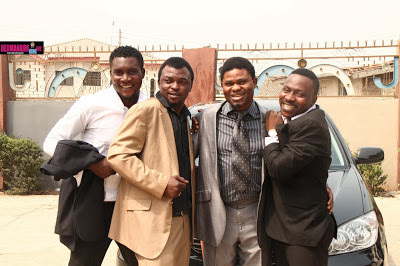 However, there was a training some people organized at Ilorin back then which I and TUNDE SHOBAYO went. All in all I had some training with Isiaka Odutola (Omiogbon) and a full training with SEGUN AKANNI OGUNGBE whom I was certified. 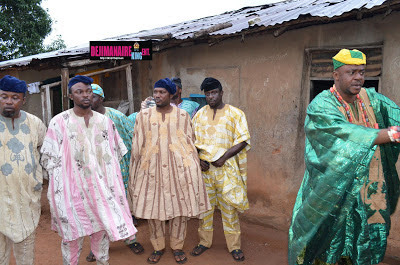 DEJIMANAIRE: How will you describe acting and the Yoruba movie industry, has it challenging? AWILO: Acting is not really challenging per sa but I have problem with the industry because everything is now changed. Then if you don’t go to school it will really affect one way or the other, like the elderly ones in the industry doesn’t care. Now, there’s nothing you can do, you just must go to school first and be sure of what you really want to do and for those who didn’t learn acting who feels acting is something they can just do merely, these kind of people are later unveiled and they mess up, if they are given a script after take 1, take 2, take 3, by the time they get to take 10 they shall become a disappointment to professional actors and the entire production crew. You know that won’t be okay, that is why one must undergo some form of training or the other. DEJIMANAIRE: In the event of your acting so far in the Yoruba movie industry, how many movies have you featured, adding movies that are yours and not yours? If you still remember some! AWILO: I had featured in so many movies. I don’t think I can remember all but I’ll try to mention some few I remember. Buga, Soto Alapata, Ijongbon, Iwosi, ibigiga, Sunday Dagboru, Jokinjo, Ekun sumi, Sunmibayo, Ife ni, Okala Pastor iroko, Eruku nla, Kokoro, Ounaye asan, Ota mokanla, Ija iyemanja, Alabe oru, Pemisire, Ojurawonlo, Ekun meran, Orilowo, Onanme Agaga, Omoaye niwa and many others. DEJIMANAIRE: How about the movies directed by you? 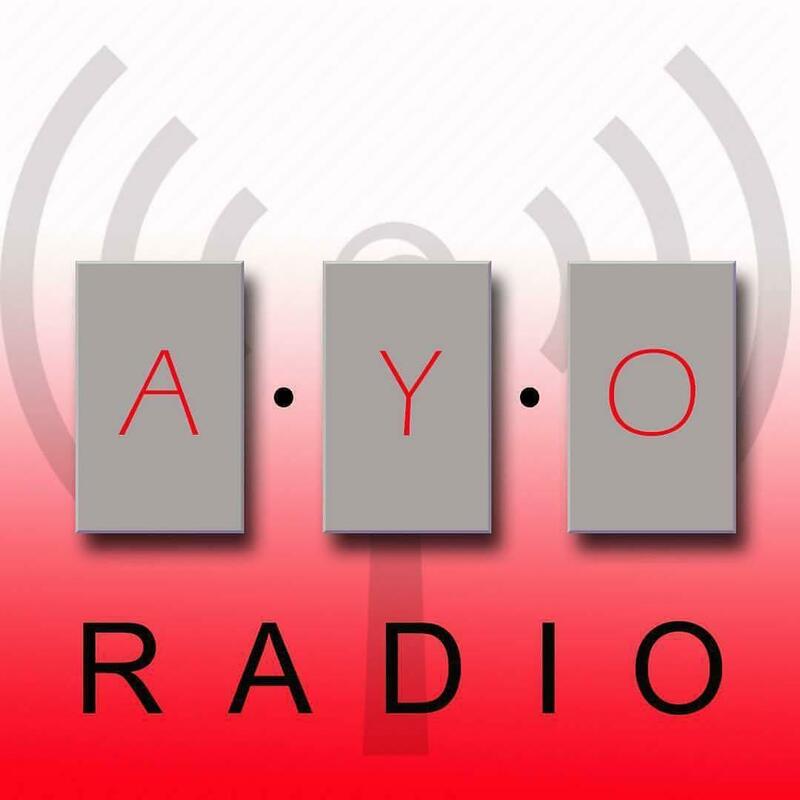 AWILO: Oh! 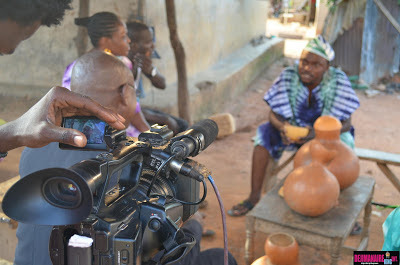 Yes, I directed these movies, Iwosi, Ajinigbe, Asiseko, Were meta. DEJIMANAIRE: Wow!... This is so wonderful Awilo, many of these movies were high demand. 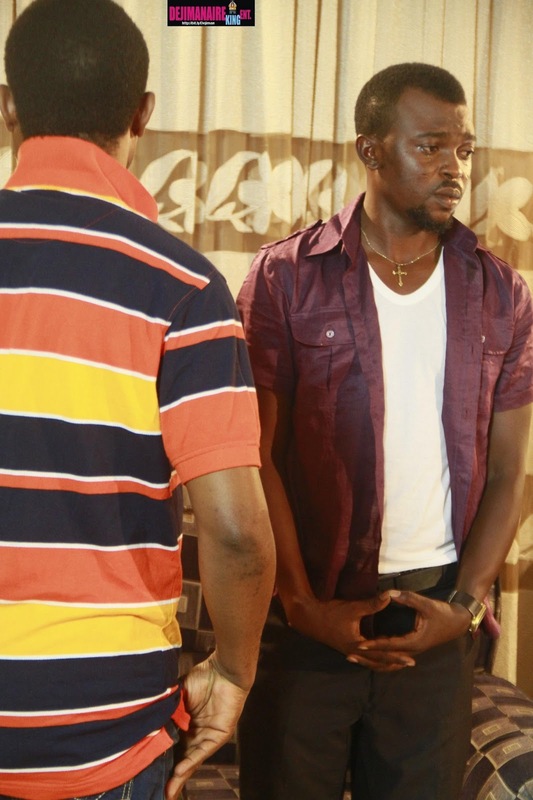 DEJIMANAIRE: Awilo, as an Actor, you might have a ‘dream team’ you will someday want to work with. 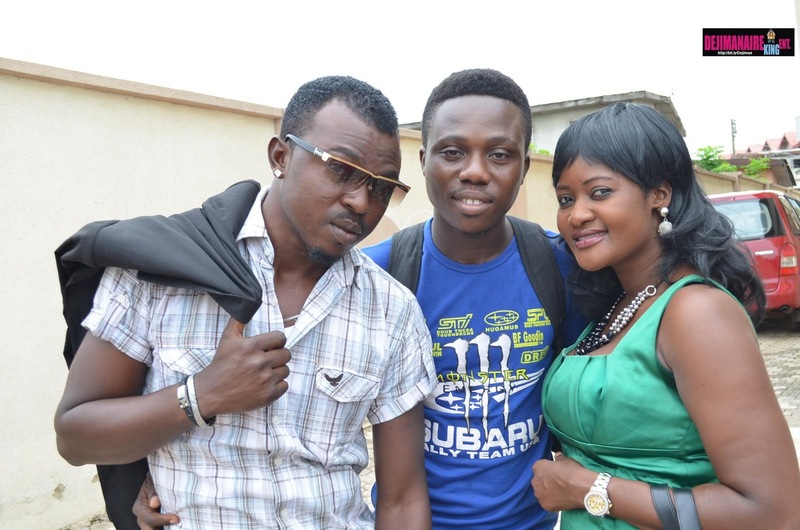 Who are the actors you might want to work with someday sooner than later outside the Yoruba movie arena? AWILO: There are so many outstanding actors and actresses out there who are doing really well even in the Yoruba movie industry. However, outside the Yoruba movie scenes, I’ll like to work with the likes of Jim Iyke, John Dumelo, Ramsey Noah, and a host of others. DEJIMANAIRE: How far are you willing to go in the movie industry? 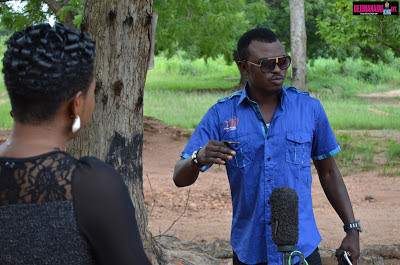 AWILO: I want to go as far as been fulfilled in what I do, I want my movies to be a point of reference that uniquely makes a great impact in the development of my country. I also want to be an internationally known actor; I don’t want to be limited to the shore of Nolly wood. I want to mingle in Holly wood, Bolly wood and many other internal movie academy. DEJIMANAIRE: Please, by any chance you’ll be able to tell us what project you are currently working on? AWILO: Hmmm… yes… Interesting… I have two projects am working on. The first one is ‘Tani Odaju’ and ‘Akinkanju omo’. These movies are to be watched out for. However, I am almost through with ‘Tani Odaju’(Who is cruel). 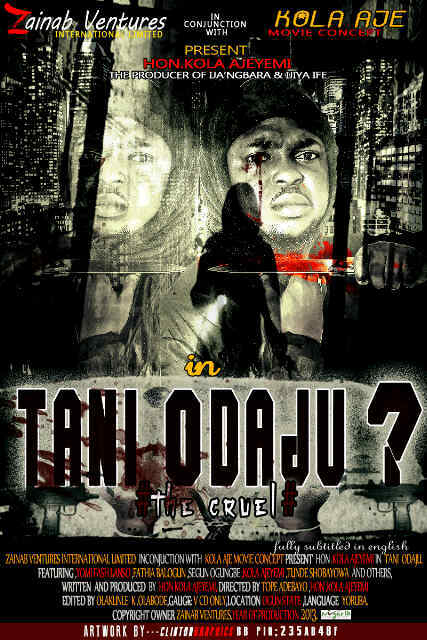 ‘Tani Odaju’ featuring so many professional actors and actresses such as Fatia Balogun, Yomi fashlanso, Segun Ogungbe, TundeShobayo and many others. It is been directed by Tope Adebayo and edited by Olakunle Olabodey (BIGGCASS). Here is the Movie poster to be seen everywhere soon. And here is the trailer to be seen on Youtube, facebook and your T.V soon. 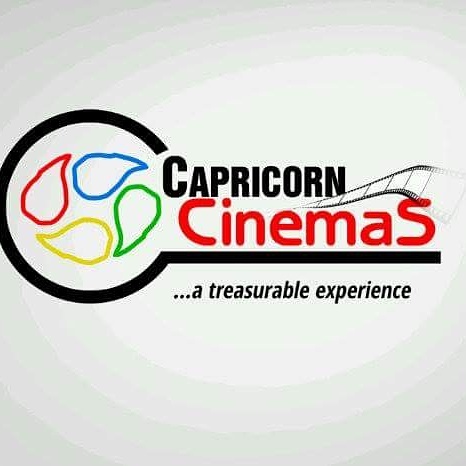 The movie shall be marketed by Zainab Ventures International Limited. 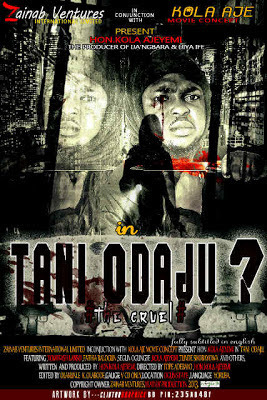 DEJIMANAIRE: When will the movie ‘Tani Odaju’ (Who is cruel) be available for purchase? 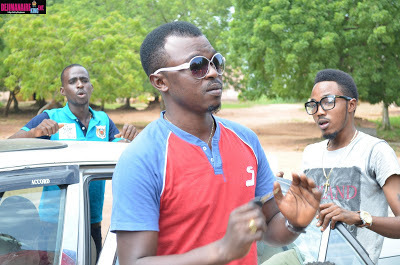 AWILO: Just stay logged with us, my crew and I are working vigorously to ensure the movie is off the hook, but let’s say before this year runs out. 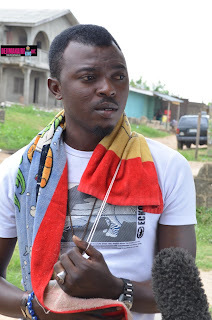 DEJIMANAIRE: I will keep my fingers crossed because I can’t wait to see the movie. The movie trailer is so catchy. Seriously, I can’t want to purchase my copy when it’s out. DEJIMANAIRE: I assume you are on the major social media websites such as facebook, twitter, youtube and many others. Where and how can our readers find you? AWILO: Yes, this is another avenue to put my fans to this very important note. There are some people on these social networks especially facebook that impersonates my identity to carry out some dubious activities. 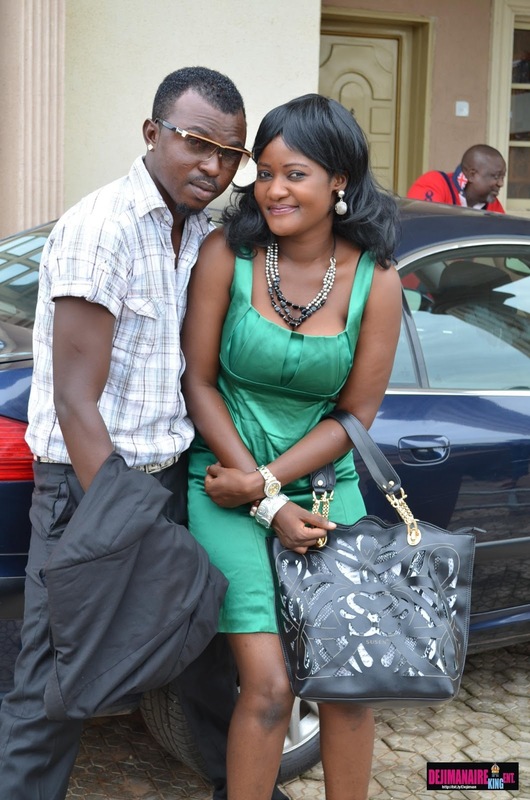 I want to state it clearly that KOLAWOLEAJEYEMI A.K.A AWILO does not involve in dubious activity over the internet. Therefore I am stating it here officially that my REAL facebook username/handle is KOLAWOLE AJEYEMI and my official fan page is https://facebook.com/KolawoleAjeyemiAwilo. Therefore be cautious when using the internet. DEJIMANAIRE: Am glad you stated it that people should be cautious when using the internet. The negative vices on these social network is on the rise, therefore I’ll also advice people exercise extreme caution when using them. DEJIMANAIRE: Let’s have some lighter mode. Do you listen to music and what type of songs do you love? AWILO: Yes, I love music like seriously…. I love music a lot and I listen to music from any artiste from any genre, blues, hip-hop, soul, fuji, R n B, Gospel and many more. When I mention some artistes you’ll have an idea of songs I listen. Artistes such as Usher Ramond, R-Kelly, Ayefele, Tope Alabi, Super D, Lyno, Odreel Aladanla, Proverb 4, 2 face and Oganla(Pasuma). DEJIMANAIRE: We are now getting close to the end of this interview. DEJIMANAIRE: Do you have anything other thing you want to say to your fans, readers of this interview, or the general public. AWILO: First, I want appreciate all my fans and lovers of KOLAWOLE AJEYEMI A.K.A AWILO for loving our work; I want to say I love them all and I’ll keep up their expectations. I also want to ask them to keep reaching out to us, their criticism and remarks are highly appreciated. Also, for those who want to act and/or join T&K FILM PRODUCTION should reach out through my official facebook handle or page, or simply email ajeomoaje@yahoo.com or simply call our hotline on 08081363363. I can’t but also ask the Nigerian government to come to the aid of the movie industry to help us fight piracy. We are tired of pirates reaping what we sow; it is not easy to invest. Therefore, let us all join hands to fight piracy. 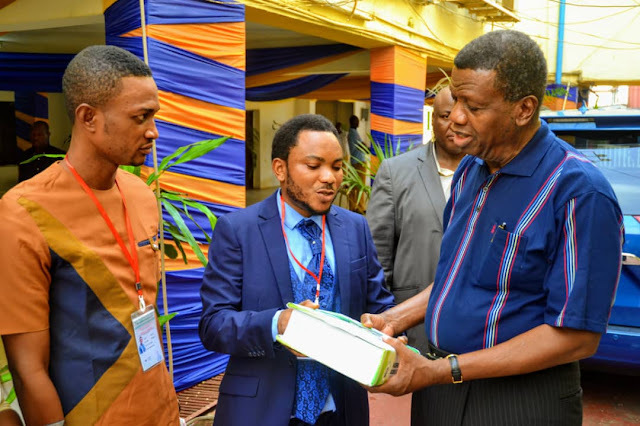 DEJIMANAIRE: Honorable Kolawole Ajeyemi A.K.A Awilo, thank you very much for the interest and time to chat with us. We would love to have you back sometime in the near future. and his skill in acting alone speaks for itself.